A future platform for Australia’s IT procurement system should be able to “ingest and provide technology,” according to Assistant Minister for Digital Transformation, Angus Taylor. 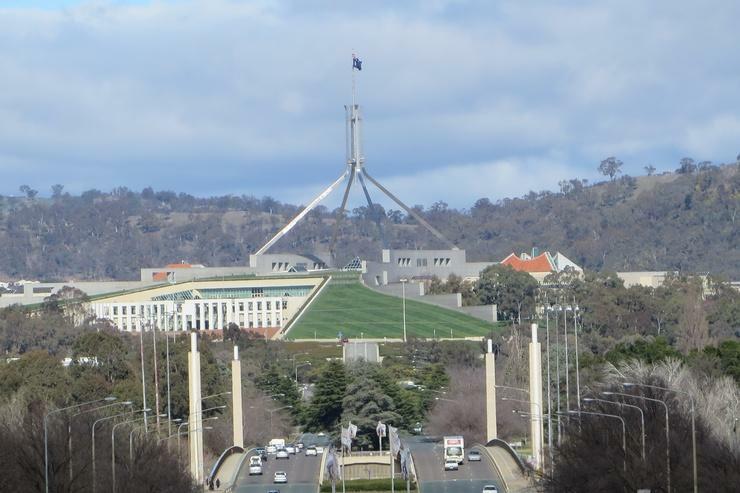 Taylor, who spoke at an Open Opportunity forum in Canberra on 24 November, said that such a government procurement gateway would need to be open and streamlined, so that new technologies could be deployed quickly to improve public services. “In this framework you would be able to build on Government platforms to provide services and solutions. These solutions may be based entirely or partially on high quality Government data,” Taylor said. Taylor’s insights into his vision of Australia’s IT procurement future come as he calls for local technology companies, start-ups, and digital providers to have their say on how to make government IT contracts more accessible to small IT providers and “innovators”. “We’ve got to let the outside in; government needs to be porous. We need to open up our ICT contracts to smaller players to solve Government problems,” Taylor said. “How we work, how we buy goods and services, how we communicate, is being transformed by digital technology. Government is committed to improving the lives of all Australians through more effective digital services – the opportunity is too great to ignore,” he said. In order to capitalise on digital solutions in the private sector, according to Taylor, the government needs to remove barriers for start-ups and small to medium businesses that want to pitch their ideas and win government IT work. “Procurement is the main gateway for the digital technology sector to provide solutions to government,” he said. Taylor’s call for private sector feedback into the government’s IT procurement practices come just over a month after he revealed the details of the government’s ICT Procurement Taskforce, an initiative aimed at helping to overhaul the way the country spends its $5.6 billion annual IT investment dollars. The Taskforce, which kicked off in mid-October, is expected to wrap up its work by March next year. “The old procurement rules, while not making it impossible, certainly made it more difficult for entrepreneurs to engage with Government to leverage some of the $5.6 billion ICT spend,” said Taylor at the time. “We need procurement processes that encourage innovation, and actually encourage service providers and government to constantly look at new and clever ways of doing things,” he said. The ICT Procurement Taskforce is part of three linked procurement initiatives, which include the launch of the Digital Marketplace, which had seen more than $15 million worth of government IT contracts put up for grabs, as of October – just a month after its Beta launch. The integrated initiatives also include the creation of the Digital Transformation Agency from the existing foundations of the government’s Digital Transformation Office. The DTA has been charged with building a whole of government IT strategy, and it is anticipated that the formation of the new agency is likely to make it easier for smaller IT providers to navigate the government’s IT procurement processes. The move to make the federal IT procurement processes more accessible to smaller players comes after the New South Wales state government made changes to its procurement practices aimed at making it easier for smaller IT providers to compete for government wortk. The changes, which took effect on 1 October, lets accredited NSW Government agencies to engage suppliers through direct negotiation on short-term contracts valued up to $1 million in order to do proof-of-concept testing or outcomes-based trials, a big increase from the $250,000 limit that was previously in place. Now, Taylor wants the private sector to pitch and have its say on national public IT procurement, with technology businesses being encouraged to make a submission to the Commonwealth’s ICT Procurement Taskforce via a consultation paper, a website and upcoming roundtables. The Taskforce is expected to report back to Government in early 2017. How can the government exert innovation influence?